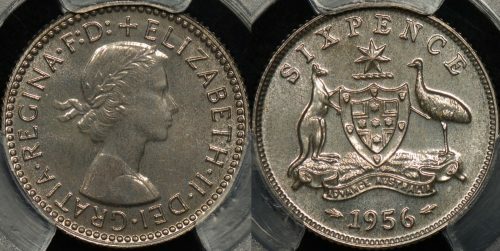 The Purple Penny stocks a full range of PCGS and NGC graded Australian sixpence coins. 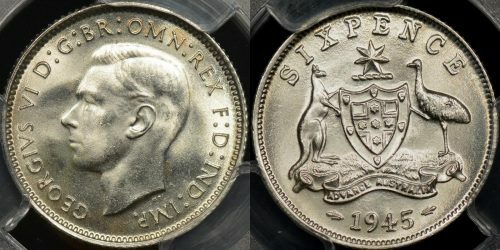 Where possible we look for sixpences with an excellent strike and original surfaces. 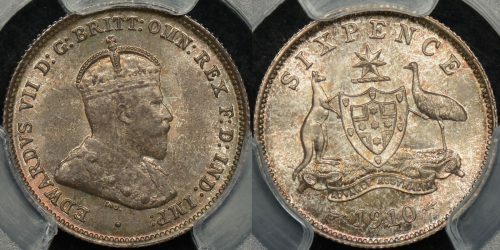 If you’re looking to buy a PCGS graded Australian sixpence you’ll find examples in our store ranging from 1910 through to the last year of mintage in 1963. 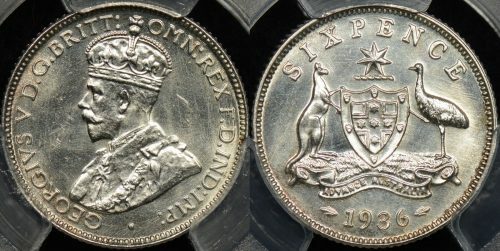 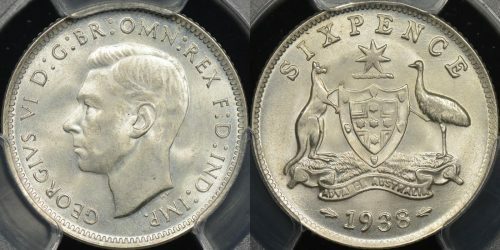 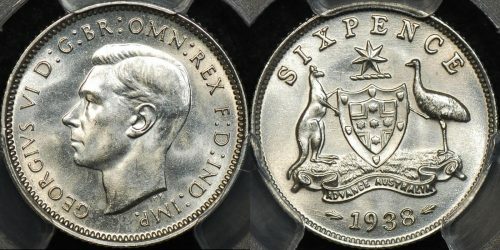 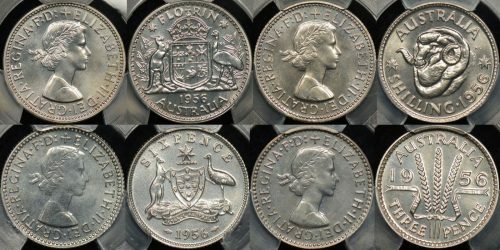 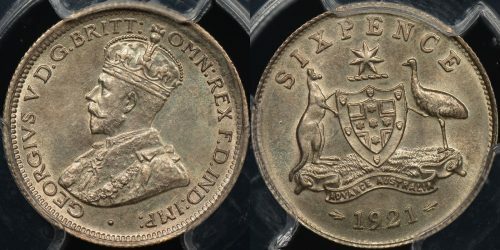 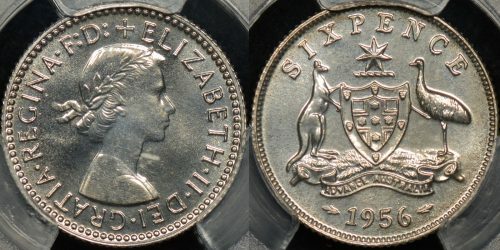 Australian sixpences were minted in London, San Francisco, Denver, and Australia. 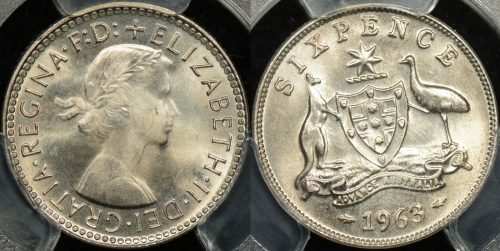 The collector looking for a type set might consider the 1910 (only year of Edward VII issue), 1936 (strong strikes are typical), 1943 or 1944 coins struck in Denver, and any of the later QE2 dates struck with chrome dies. 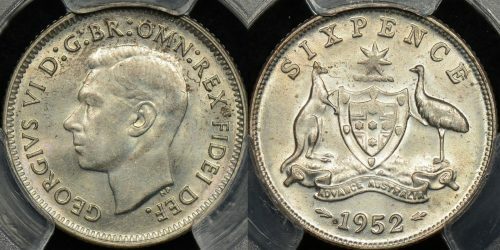 The 1962 can usually be found in high grades, well struck, and intensely lustrous. 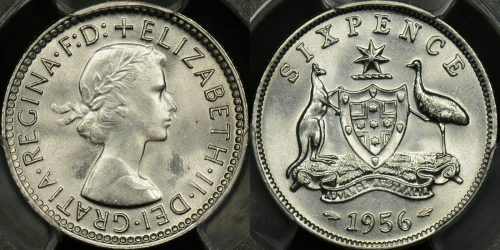 While there’s no ‘keydate’ in the series, the 1918, 1922, and 1912 coins are recognised as extremely hard to find in nice grade. 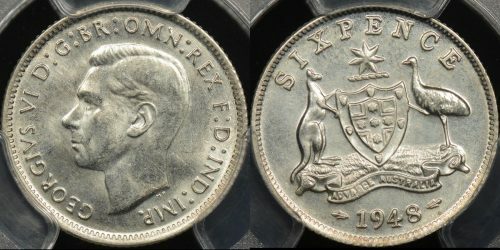 Also, the 1952 and 1953 coins are usually priced higher than other George VI sixpences.